While legislators, state agencies, and environmental and mining advocates continue to debate the water quality impacts of mining, a team at the University of Minnesota is exploring whether a combination of biochar -- produced from biomass -- and sulfate-reducing bacteria can act as a filter to remove sulfate and toxic metals from mine water. 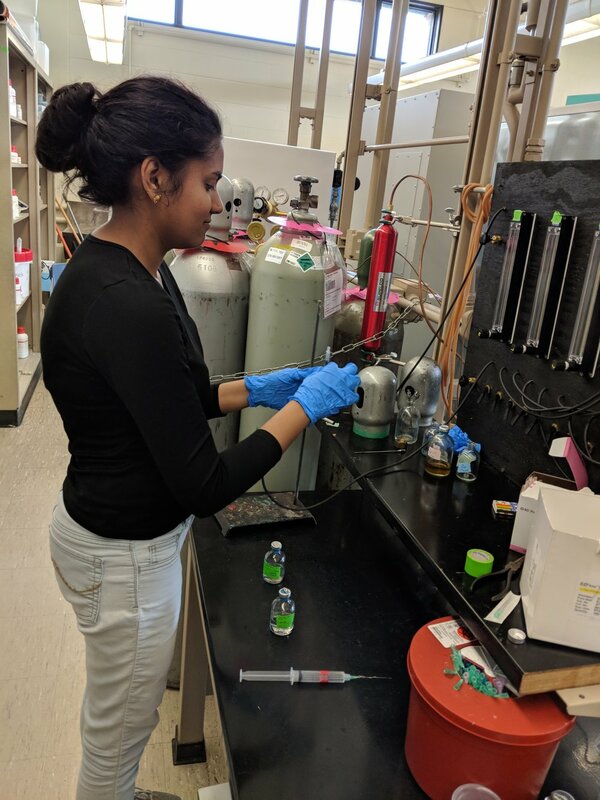 Gloria Thomas, 2017-18 Smith Partners Sustainability Fellow and PhD candidate in the Water Resources Science Program at the University of Minnesota, has joined a team of researchers at UMN who are in the lab phase of fine-tuning this bio-filtration technique. Relatively inexpensive and using natural components, the biochar-bacteria remediation technique could be applied to reduce sulfate levels in water to protect wild rice and to meet Minnesota regulatory mandates. The two-component remediation system consists of biochar, biomass that is burned at high heat in a low oxygen environment to produce fine charred particles more porous and sorbent than charcoal, and bacteria that do not require oxygen and that take in and process sulfates. In this low-cost, passive treatment system, biochar adsorbs heavy metals from the water, holding these metals on the surface of the biochar, while sulfate-reducing bacteria use sulfate to fuel their activity and convert the sulfate to sulfide. Sulfide then precipitates with metal ions into a solid that is less reactive in the environment than sulfide itself. Bacteria in waters with high sulfate concentrations naturally convert sulfate to sulfide, but elevated sulfide concentrations can be toxic to many life forms in the environment, including wild rice. The biochar-bacteria system circumvents this problem. The properties of biochar, such as high surface area and its porous structure, make biochar a good surface for microbial communities to grow on. Biochar is an effective addition to bioremediation systems that contain various types of bacteria. 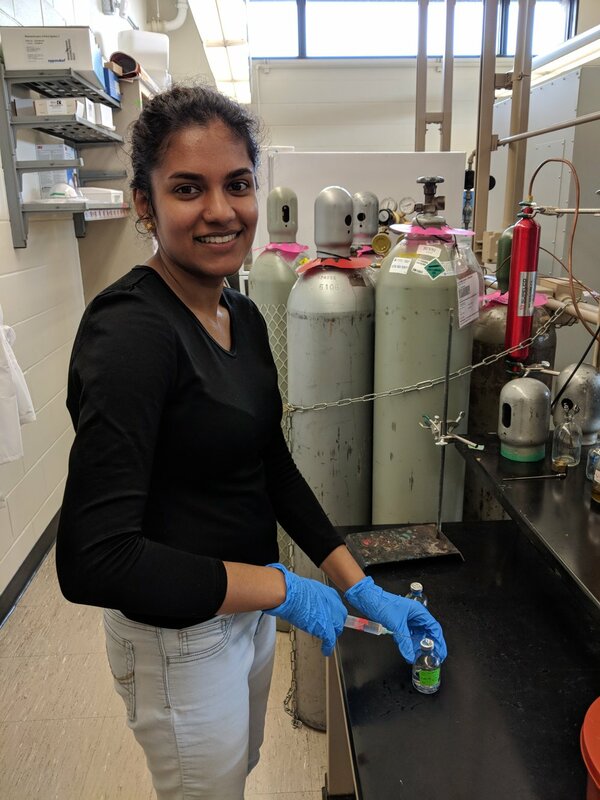 Research is being done to study how biochar affects microbial community structure and activities, and how these communities can be used for applications such as wastewater treatment or other forms of bioremediation. Thomas hopes her research will lead to a variety of remedial applications, and she is eager to contribute to broader public understanding of this work. "It would be very exciting if our research can help local communities and watersheds find cost-effective strategies to improve water quality," she noted. "This is perhaps one more tool at our disposal."